Colombian government issues protected status to iconic wetlands zone, meaning that mining will be banned in resource-rich and biodiverse area. The move could represent greater balance between profit and sustainability. The iconic Mavicure Hills, in the Estrella Fluvial del Inírida in eastern Colombia. Photo courtesy of WWF. On 8 July the Colombian government declared the creation of a new Ramsar protected area, covering 253,000 hectares of wetlands in the eastern Guainía department that borders Venezuela. The Estrella Fluvial del Inírida wetlands have become, in the process, the sixth Ramsar site – named after the Iranian city where UNESCO established the treaty protecting wetland areas of ecological and biological importance – in Colombia. Yet the most noteworthy aspect of the new park’s designation is the fact that it has come after a prolonged period of disagreement within the government over whether the area, which is also the site of plentiful mineral resources, should be put under protected status. This tussle had been played out between the Environment and Mining departments, led by Luz Helena Sarmiento and Amylkar Acosta, respectively, but an agreement earlier this year that the iconic wetlands would become a protected area and therefore rule out any mining activities within its borders, led to the newly re-elected President Juan Manuel Santos being able to formally declare the area a Ramsar site. The concession by Acosta gives more weight to the Colombian government’s claim, repeated earlier this year by Acosta himself, that it is prepared to put the protection of its environment ahead of ‘profit at all costs’, forgoing the substantial profits potentially on offer it had opted to leave the Estrella Fluvial del Inírida unprotected. In January, the government forced operations by the US coalmining giant Drummond in the north of the country to be halted, after the company was accused of flouting environmental regulations by spilling huge quantities of coal into the Río Magdalena estuary when a coal vessel sank in a port in Santa Marta. This was in spite of the fact that the government would lose millions of dollars in revenue each day by preventing Drummond, Colombia’s second largest producer of coal, from carrying out extractive activities. At the time, Acosta and Sarmiento both defended the move, saying that while coalmining played a significant role in driving the Colombian economy and obtaining foreign currency, environmental laws had to be enforced, suggesting that environmental integrity was more important than short-term profit. Colombia’s newest Ramsar site is also an area of exceptional biodiversity and outstanding natural beauty. Photo courtesy of the Universidad Nacional de Colombia’s News Agency. Now, it is the Inírida wetlands that are benefitting from this principled stance. The wetlands are renowned for being an area of exceptional biodiversity and natural beauty, as well as being home to more than a dozen indigenous communities. Biologists say that the area provides a home to some 900 different species of plant, 470 species of fish, 200 species of mammals, and 40 species of amphibians. 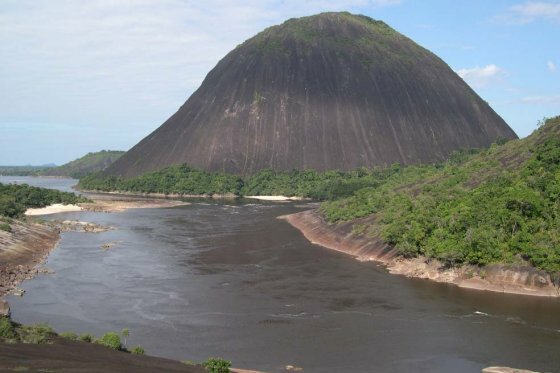 It is also the site of the spectacular Mavicure hills, dome-shaped rock formations with streams trickling all down the sides, and perhaps most importantly it plays host to the headwaters of the Inírida, Atabapo and Guaviare rivers, which are both important tributaries to the Orinoco, South America’s second largest river. All these qualities appear, with the designation of the area as a Ramsar site, to have superceded the mining potential of the area, with vast deposits of coltan, gold, platinum, copper, phosphorus and metallurgical carbon. This would imply the abstention of significant government revenue, as well as a means of local economic activity for the numerous artisanal miners in the region. 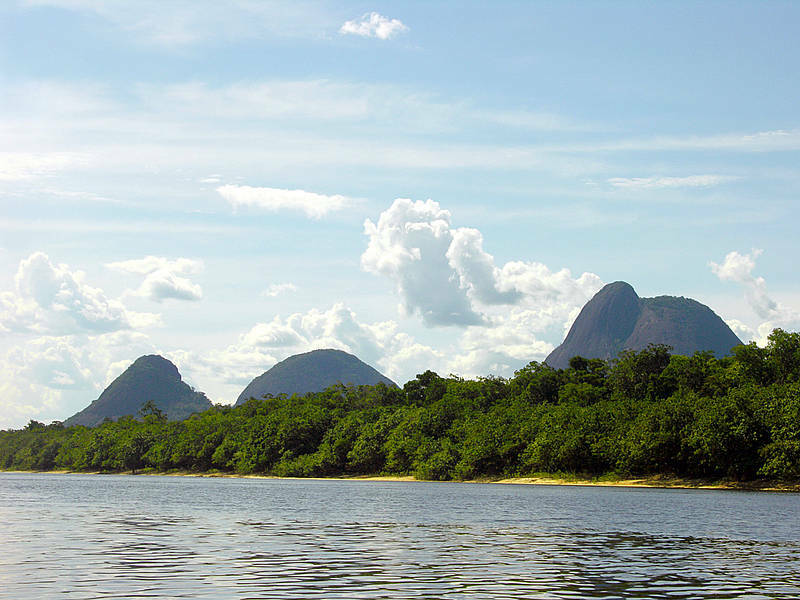 However, the government has said that it hopes to take advantage of the wetlands’ newfound protected status to promote ecotourism in the area, with Santos expressing hope that this would bring “the generation of employment and wealth while preserving our environment”. Speaking in January at the time of the government’s announcement that it had agreed to create the Ramsar site, Sarmiento remarked that “as a government we have agreed that on the issue of the Estrella Fluvial del Inírida, environmental protection must prevail. This is an area with many non-renewable resources, but the importance of its rivers for the future of the country and indeed the entire region is fundamental”. Meanwhile, on the declaration of the new protected site by President Santos, Acosta suggested that the agreement between his Mining department and that of his colleague Sarmiento proved that national policies of promoting mining activity and protecting the environment can be made to be compatible. He said that the prohibiting of mining within the boundaries of the Inírida wetlands was the result of a principled balance between mineral extraction and environmental sustainability, “which is a constitutional principle”. 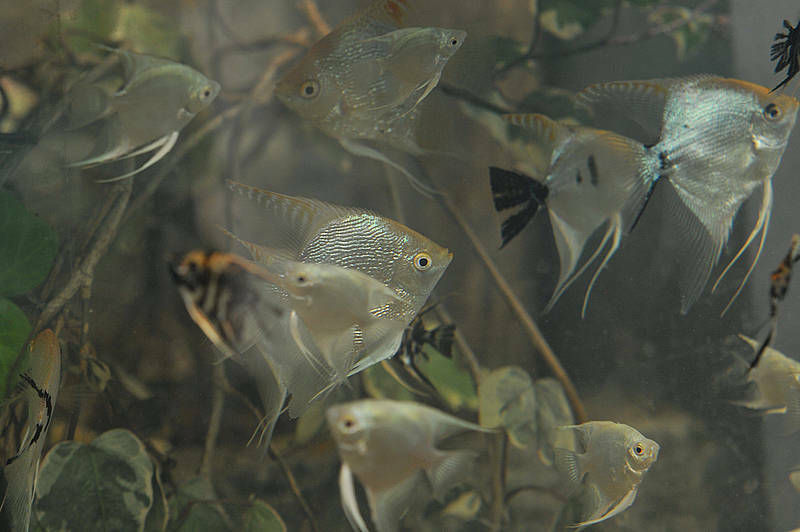 The wetlands are home to the headwaters of the Inírida and Atabapo rivers, where roughly half of the ornamental fish that are then exported from Colombia to destinations such as the US and Europe are found. Photo courtesy of the Universidad Nacional de Colombia’s News Agency. Colombia, then, can perhaps still claim to be doing a decent job at trying to find this balance, and is staying true to its earlier assertion that it was not prepared to pursue economic growth – through its lucrative mining industry – at all costs, both environmental and social. It remains a serious conundrum, though, both in Colombia and elsewhere in Latin America, as countries look to develop their economies and boost living standards for their populations. Some countries have indicated that they are prepared to at least give environmental sustainability and social impacts of developmental projects some consideration. Chile is one example, with its government having recently decided to scrap the controversial HidroAysén hydroelectric dam project due to the perceived environmental and social damages that its construction would cause. Brazil has also taken impressive strides to limit deforestation in the Amazon rainforest over the past decade, having pledged to reduce net deforestation to 80% of 1990 levels by the year 2020. However, other countries are not faring so well in this regard. Peru has given the impression that it is hell-bent on keeping up the impressive economic performance of recent years, even if this involves putting the wishes of foreign investors above those of local communities affected by large-scale extractive works, and indeed above serious consideration for the long-term wellbeing of its environment. Ecuador, meanwhile, played host to the now infamous Yasuní-ITT Initiative, which sought to leave close to a billion barrels of crude oil under one of the most biodiverse corners of the Amazon rainforest in exchange for financial compensation from the international community, but which was abandoned after an apparent lack of interest or commitment from those sectors. In the end, the Ecuadorean government has turned its back on its rhetoric of using Yasuní-ITT as a blueprint for sustainability and prioritising the local environment and indigenous communities over oil revenue, opting to promote the development of the Yasuní oilfields while doing all it can to prevent the original Initiative’s supporters from having a say in the matter. Ecuador’s President, Rafael Correa, has tried to justify this U-turn by arguing that, with international ‘investors’ failing to step up to the plate, Ecuador needed the money in order to provide its citizens with better services and quality of life. This is undeniably a fair claim, and will continue to feature in any debates on finding the balance between resource-fuelled economic growth and environmental protection and sustainability. It will be interesting to see if Colombia comes to see the virtue of keeping up – and expanding – its policy of safeguarding the environmental integrity of areas such as the Estrella Fluvial del Inírida (or the Río Magdalena estuary during the Drummond incident), and whether other Latin American governments will come to consider this route a more desirable one in the long run. Women-only carriages in São Paulo Metro trains: the solution to harassment?